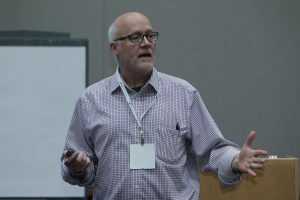 For more than two decades I’ve drawn from my experience as a small business owner to help contractors successfully develop lean and mean business systems. Through my work, I hope to redefine the way that small business owners, their customers, and suppliers work together by collaborative relationships being optimized and improved. I have been involved with running a small, local-service businesses for over 20 years. After moving to the Washington DC area in 1988, I practiced high-end residential remodeling and focused on delivering the highest quality service to my clients. That experience in managing customer expectations led me to write a book entitled Managing the Emotional Homeowner, which has become one of the bibles of the remodeling industry and helped thousands of contractors improve the level of service they provide clients. I fervently believe that the best customer service only comes when a small business owner can deliver consistent results, which happens with proven systems. 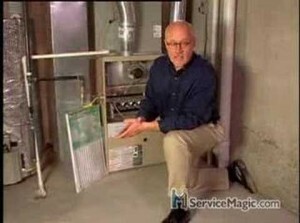 I spent nearly four years writing the Remodeler’s Turnkey Program as a basic how-to text on running a service company. 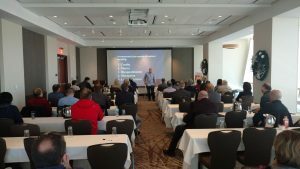 In the last 5 years, I have sold over 500 copies of his program, helping hundreds of business owners improve their businesses, increase their profits, and spend more time with their families. In 2004, I got to move back to Colorado, where I spent the first 30 years of my life. From my base in Colorado, I now consult with both business owners and industry companies such as General Electric, Milgard Windows, and American Express to maximize customer service relationships between industry partners. 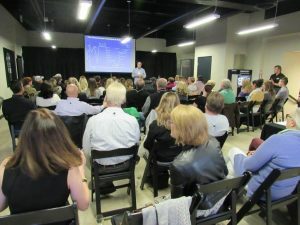 I am a regular on the seminar series at national trade shows, most notably rating the #1 speaker at NKBA’s Kitchen and Bath Industry Show in 2009 and 2010. With the downturn in the economy in 2008, I came to the conclusion that contractors could not continue to do business as they had always done. Most contracting businesses are project-driven, and business owners are always looking for their next project. With the recent changes in the economy, project-driven businesses are struggling to survive. Simply, when homes are not going up in value, the money for home-improvement projects goes away. In light of these market changes, I am working with contractors to adopt a new relationship-driven business model, working with clients in a consultative relationship to assist them with managing their largest asset, their home. To assist contractors with this market shift, I have created the Home Asset Management Plan, showing contractors how to optimize and monetize their relationship with past and future clients. The short summary – build your client relationships – the work will follow.